Rest assured, your payment and personal information is always safe. Our secure Sockets Layer (SSL) software is the industry standard and amoung the best software available for todays for secure commerce transactions. It encrypts all of your personal information including credit card number , name and address, so it cannot be read over the internet. Uncle Ike's Music reserves the right at any time and from time to time to modify or discontinue, temporarily or permanently, the Site or any part thereof with or without notice. You agree that Uncle Ike's Music will not be liable to you or to any third party for any modification, suspension, or discontinuance of the Site. 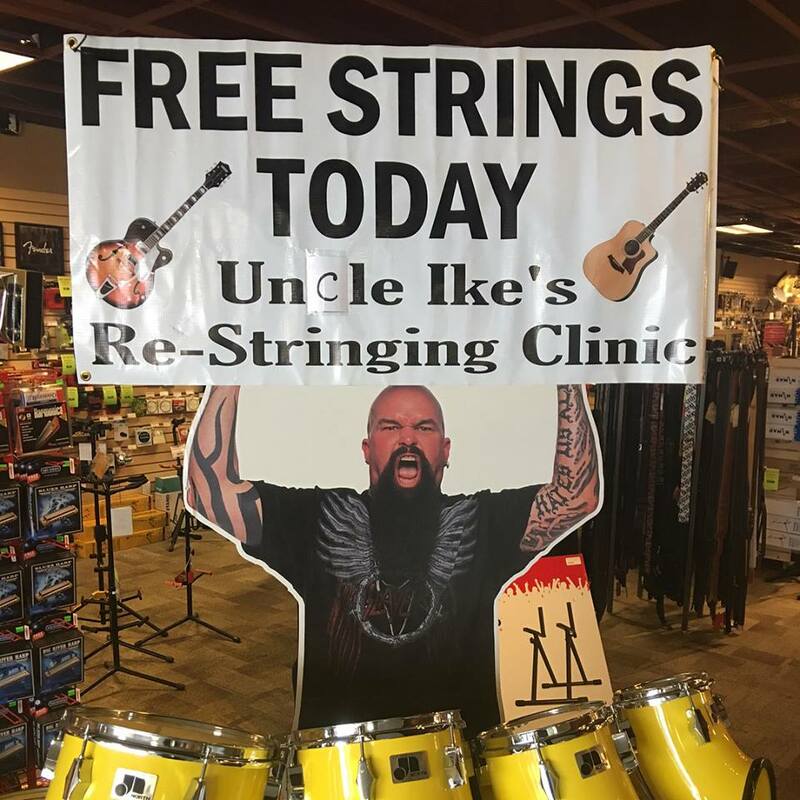 Because prices, product descriptions and availability can change quickly, Uncle Ike's Music does not warrant the accuracy or completeness of the information provided on the Site. Also, Uncle Ike's Music may make changes to the information contained herein, including to the products and prices described in the site, at any time, without prior notice to you (including after you have submitted your order). Information at this Site is periodically updated, but it may not be current or complete at the moment you visit this Site and may contain errors or inaccuracies. In no event shall Uncle Ike's Music or its service or product providers be liable to you in any manner whatsoever for any decision made by you, or for any act or failure to act by you, in reliance upon information provided at this Site. If a product you purchase does not match the description on the Site, as your sole and exclusive remedy you may return the product, unused, to Uncle Ike's Music and receive a refund of your purchase price. THE INFORMATION ON THE SITE IS PROVIDED "AS IS," WITHOUT WARRANTY OF ANY KIND. WITHOUT LIMITING THE FOREGOING, UNCLE IKE'S MUSIC EXPRESSLY DISCLAIMS ALL WARRANTIES, WHETHER EXPRESS OR IMPLIED, REGARDING THE INFORMATION ON THIS SITE, INCLUDING, WITHOUT LIMITATION, ALL WARRANTIES OF TITLE, NON-INFRINGEMENT, MERCHANTABILITY OR FITNESS FOR A PARTICULAR PURPOSE. Some jurisdictions do not allow the exclusion of implied warranties, in which case any implied warranties shall be limited to the minimum scope and period permitted by law. IN NO EVENT SHALL UNCLE IKE'S MUSIC BE LIABLE FOR ANY INDIRECT, INCIDENTAL, SPECIAL, OR CONSEQUENTIAL DAMAGES OF ANY KIND, INCLUDING, WITHOUT LIMITATION, THOSE RESULTING FROM LOSS OF USE, DATA, OR PROFITS, WHETHER OR NOT UNCLE IKE' MUSIC HAS BEEN ADVISED OF THE POSSIBILITY OF DAMAGES, ON ANY THEORY OF LIABILITY, ARISING OUT OF OR IN CONNECTION WITH THE USE OF THE INFORMATION ON OUR SITE. The Site and the Materials are copyrighted works of Uncle Ike's Music & Sound and/or its suppliers. Neither the Site nor the Materials may be reproduced, displayed, modified or adapted, distributed or transmitted in any form by any means (including, but not limited to, electronic duplication or transmission) without the prior written permission of Uncle Ike's Music.